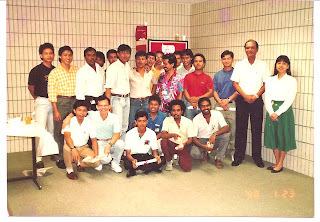 National Technical Certificates receiving ceremony at Singapore Press Holdings, News Centre Genting Lane. I got a standing ovations when I went up to collect my certificate. Hope to share my amazing story. I used to spend a lots of time dismantled and maintained my bike when I was a few years old, so efficiency of my bike is very important as I practice a lot with it doing bicycle stunts. I am able to maintained the bicycle so well, I am able to do some amazing feats and break some records or possibly the world record with my bike with a economical bike because of my ability to maintain the bike. Click EXTREME SPORTS to see more. When I was a few years old I learn and observed from the an old bicycle repairman, how to set the wheels accurately using a small special wrench, which he calibrate and balance the tensions of the spokes of the wheels on both sides accurately. 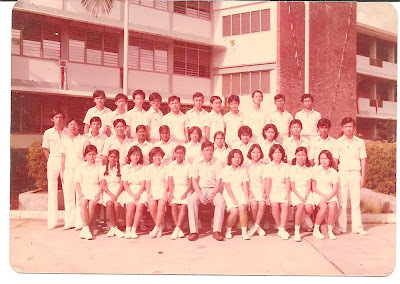 And through my technical training in Upper Aljunied Technical Secondary School. I was able to contribute to the success of both major corporations. Because of my rough use of the bike to do stunts, I got to frequently repair my own bike, the skill I acquired to repair and set my bike to optimal conditions, which later were very useful in my work and making and designing props for Chingay Parade. I was very fascinated with how the mechanism work. Since my younger days, I like to read lots of books especially book on inventions. When I work in a major newspaper company Singapore Press Holdings as a printer, the printing machines were old and rundown and used to get all clogged up with all sorts of chemicals, creating lots of printing problems. HOW TO IMPROVE THE PERFORMANCE OF THE PRINTING MACHINES OR YOUR CAR PERFORMANCE. friction whenever the machine were operated. Understanding the problems was the first step to my success in clearing up this issue by applying the correct chemical lubricant at the right place. Amazingly I was called a master printer by my seniors in work even I work not so long as them. machinery that needs my to change the dampener cloths/setting of rollers. My foreman practice his crafts for 20 to 30 years. dampener of the printing machine that I was assigned to, maybe he had created this opportunity for me, so that I had no choice but to change it. He taught me the knowledge to set the printing rollers with his 30 years of experience. Setting the rollers needs to be highly accurate as it control the amount of ink and water to the printing plates which in turn affect the end product. The pressure can't not be too strong or to light. printer. As observed, usually after I had set the rollers and lubricated the printing machine, 200,000 copies of newspaper came out smoothly without any problems, right from the beginning to the end. The foreman trusted me so much that he don't even need to check the print quality of the newspapers, and apparently it seems to him that he was very confident about the result of my job done. Prior to that when I was in charge of the reel stands. We need to feed the new reels of newsprint up when the old reels were exhausted. Sometimes I needed control up to four reel stand machines at a time. For 1 months there are no web breaks observed in the reel stands that I control. Whereas there were frequents web breaks were observed from the other printers daily. was selected among all my course mates to major in setting rollers (which requires specialized skill set), repair and maintain the printing machines. To prepare the machine ready in the morning for them to run the machine later in the afternoon/midnight. In these ways, through my skill, I am able to transform old, rundown machinery, through repairing, lubricating and resetting it, into machinery that able to produce over hundreds thousands of beautiful , high quality news prints with little problems. The company I was with, having a net profit of $70 millions in 1987 the year when I joined was transformed to a company that every year increase it's profit to having $250 millions net profit when I left in 1992. In appreciation of my contribution I was awarded the Printer of the Year Award & Best Suggestion Award, and received a token sum of appreciations featured in the company SINGAPORE PRESS HOLDINGS internal newsletter. Unfortunately the newsletter cutting was lost. When I joined a leading car company Toyota in the year 2000 as a security officer assigned by a security agency. I was still fascinated with machinery, as my years of experiences handling machery was able to put into good use. With my technical expertise and processes that I had acquired, I began to transfer them to the mechanics working in the car company, as most mechanics don't use to be well educated. achieved a net profit of $100 millions. So I hereby like to share my humbling experience in the importance of acquiring the skills to maintain machinery and with proper application, it can made a big difference to the company bottom line. The Toyota Bodycare Centre at Leng Kee Road where I used to work , were quite empty during those early days is now lined up with long queues of customers. In gratitude of my contributions the management asked , a TOYOTA lady Senior Claim Advisor, who worked in Toyota for a long time, to buy or cook breakfast for me nearly every morning for a few years free of charge.